Your privacy is very important to us. At Linux Mint Team we are committed to gathering as little personal data as possible, ideally and in mosts cases, no data at all, and when data is gathered to protecting and respecting it. Although the websites and products provide for anonymous and pseudonymous participation, in some instances in order to use certain features, we require account registration. This requires a unique nickname associated with your account, an email address, and in some cases, additional information including, an IP address and a password to help secure your personal information. When setting up a public “profile” or a signature, you may share information that is not required but will be displayed publicly at your election. 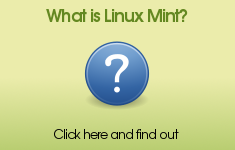 Linux Mint uses server software such as Apache, Wordpress, Akismet, PHPBB which receive and record networking information sent by your computer and your browser or mobile device when you visit our websites. This information may include your Internet Protocol (IP) address or unique device identifier. This information is stored in secure logs and is collected automatically. Authorized third parties such as Google Adsense place cookies as described in our Cookies Policy. We use this information to serve you certain advertising content. Linux Mint uses Google Analytics for pages which URL starts with linuxmint.com/start/. The information collected is anonymized and is used by Linux Mint to have a rough idea of how successful each particular release is. When you make a donation we receive personal information from Paypal. Transaction dates, amounts and county of origin are kept and shared with accountants and the Irish tax authorities. Although your full name and your postal address are kept by Paypal and accessible by us via Paypal, we do not store, copy or share this information. We keep a record of your email address to be able to identify future donations from being associated with you and to provide you with information and access to the list of donations you sent us. In accordance with the GDPR, you also have the right to data access and portability (including the right to obtain and download a copy of the personal data you provided to Linux Mint), data correction (the ability to update the personal data we collect and display on you, in many cases via your account settings), data deletion (where Linux Mint will delete personal information stored on you, which we are not required by necessity to maintain), and the ability to have us stop processing your personal data (with certain exceptions as may be necessary). Please also be aware that in order to provide some of these data choices to you, we may need to first verify your identity. We will make reasonable efforts to verify your identity, however if we are unable to do so, we reserve the right to refuse such a request in keeping with data privacy and information security principles. Security is important to us and we know it is important to you. Linux Mint follows generally accepted standards to protect your personal information when processing, transferring, and storing your personal information including Transport Layer Security (“TLS”), by restricting your personal data when we do not need to access it and by keeping your personal data only as necessary. As the data provider, you too have an important role to play in helping us protect your personal information. We encourage you to protect yourself against unauthorized access to your personal information by choosing a password carefully and in accordance with industry best standards. Do not share your password with anyone you do not trust, and make sure your computer accesses Linux Mint via a secure network and that you do not leave your personal information vulnerable to hackers and other bad actors by leaving your computer unattended or by failing to logout of your account when you have ended your session activity. All records containing personal information are considered to be proprietary and are afforded confidential treatment at all times. Linux Mint is committed to the safety and security of your personal data and the information that you share with us and with the public. We treat your personal safety and safety from harassment as top organizational priorities. At Linux Mint we consider it necessary to pursue these legitimate interests in order to keep our community, you and your information safe from spam, harassment, intellectual property infringement, identity theft, and the scraping and unlawful collection of your information. We use session cookies for account registrations and log ins. These cookies are generated and necessary for our web software to authenticate you and log you in your account correctly. We use Google Adsense to provide advertising and help fund our project. On URLs which start with linuxmint.com/start, we use Google Analytics to measure the number of visits and have a rough idea of how successful new releases are. Please contact us if you have any questions, comments, or concerns regarding privacy, personal data, policies or cookies. Our representative for all data privacy matters is Ms Lisa Rushe, Linux Mint Ltd, Athlone, County Westmeath, privacy (at) linuxmint (dot) com.